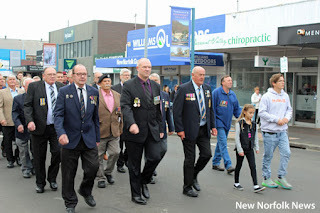 instructions to march to the Cenotaph. The parade standing at ease in front of the Cenotaph in Circle St. 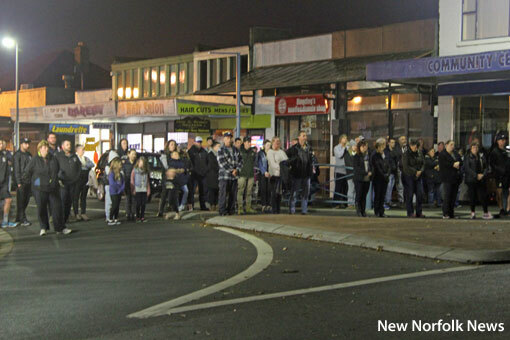 Some of the Dawn Service onlookers at the top of High St.
All quiet at the Cenotaph around 7am. 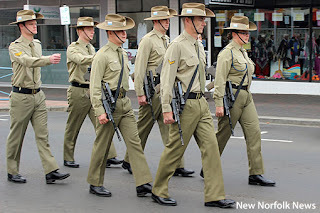 the 11am parade in motion. 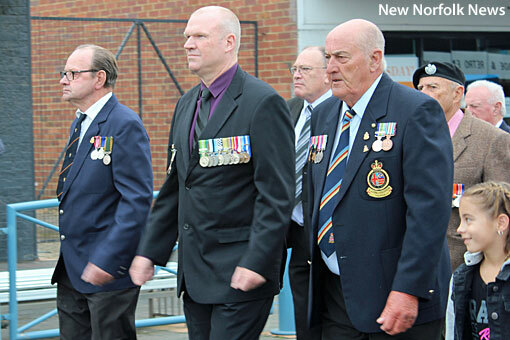 Three veterans at the head of the main parade at 11am. 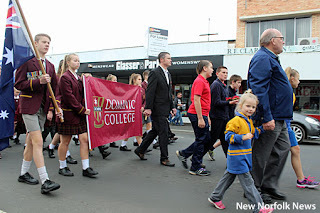 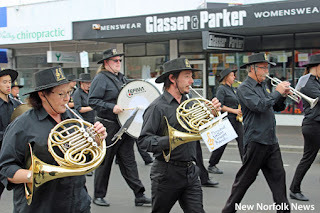 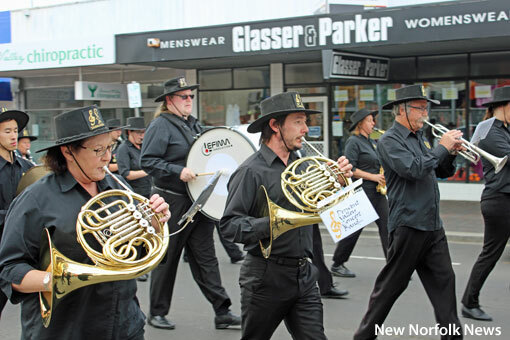 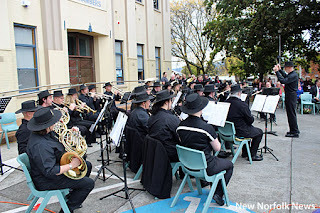 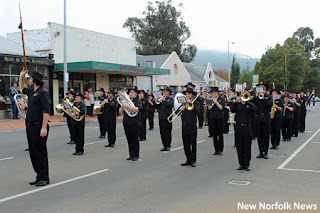 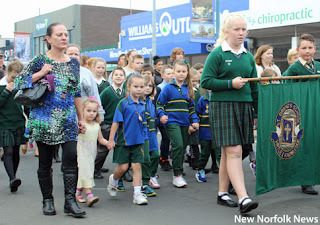 Derwent Valley Concert Band members on parade. 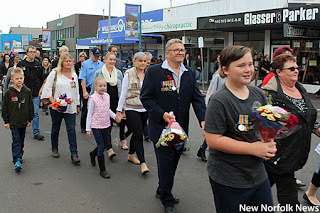 Veterans and family members in High St. 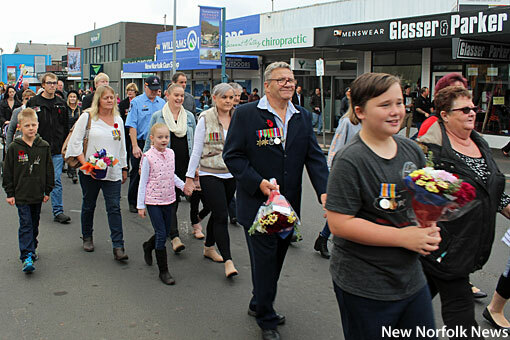 Parade participants wearing the service medals of their relatives. 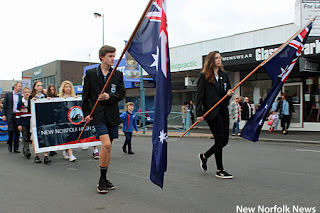 New Norfolk High School representatives. 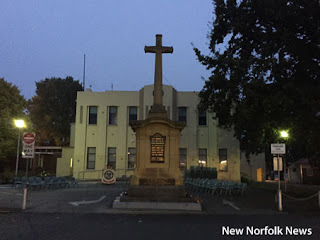 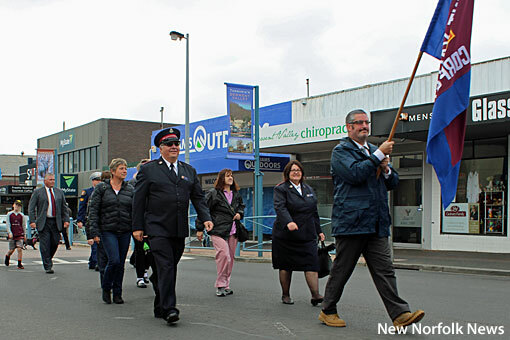 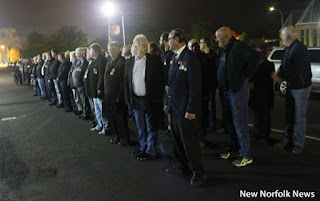 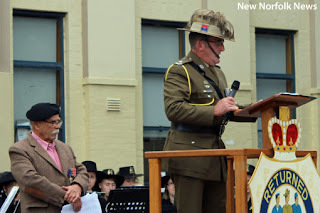 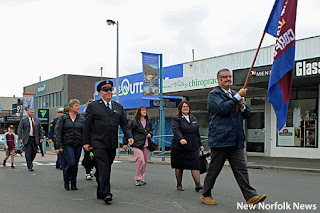 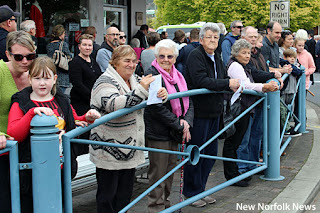 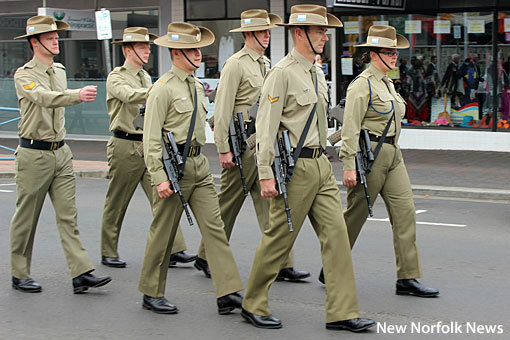 New Norfolk Salvation Army Corps. 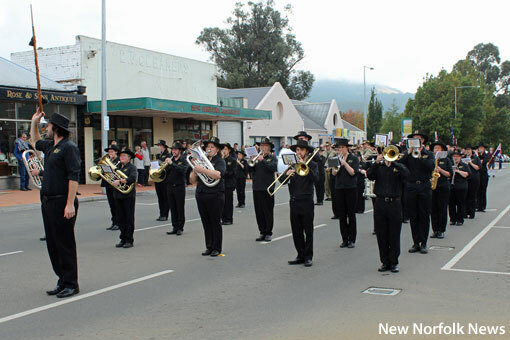 Spectators at the corner of High and Circle streets. 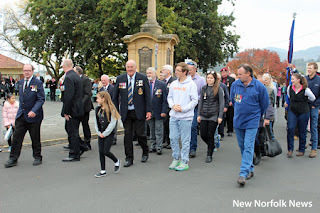 The catafalque party taking position at the Cenotaph. 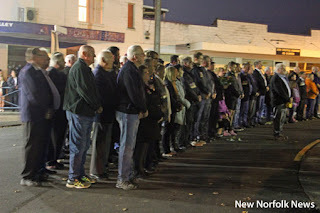 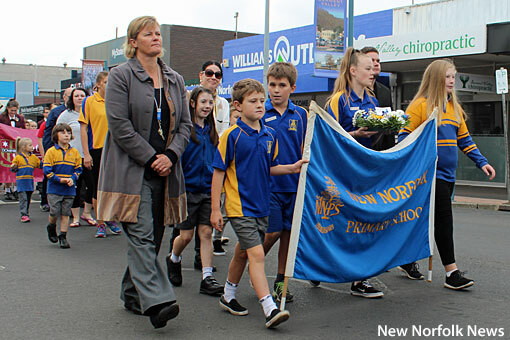 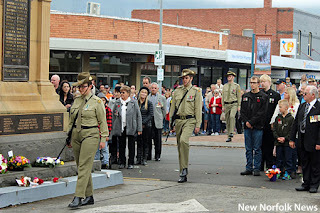 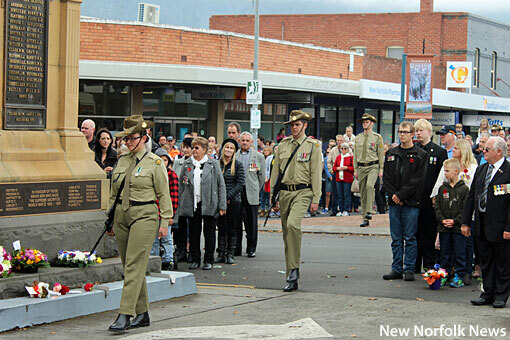 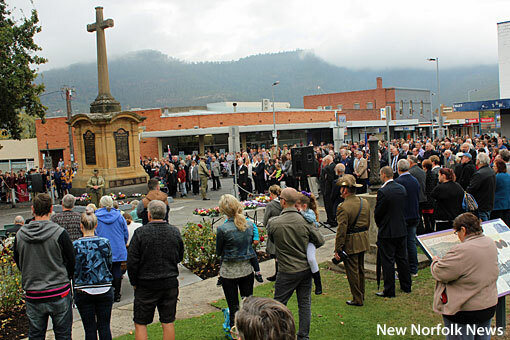 The scene at the New Norfolk Cenotaph. 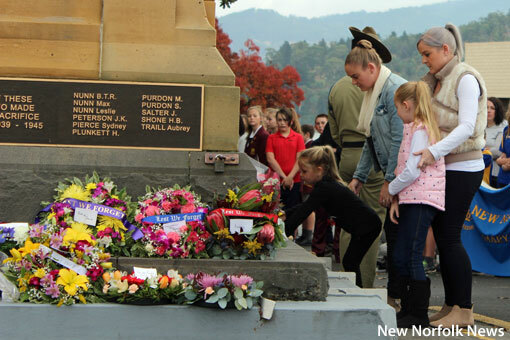 A family placing flowers in memory of a loved one. The parade breaks up after the 11am service. 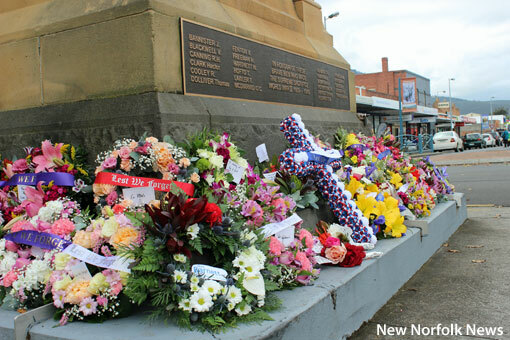 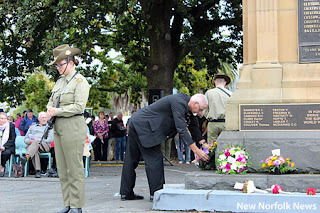 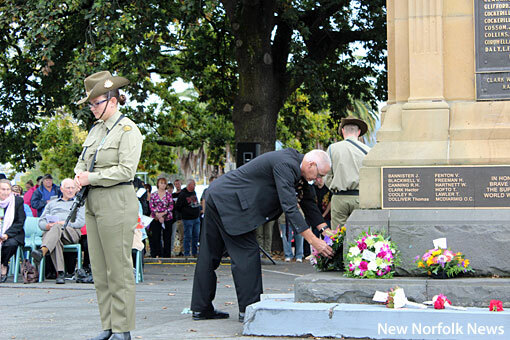 Floral tributes on the New Norfolk Cenotaph.